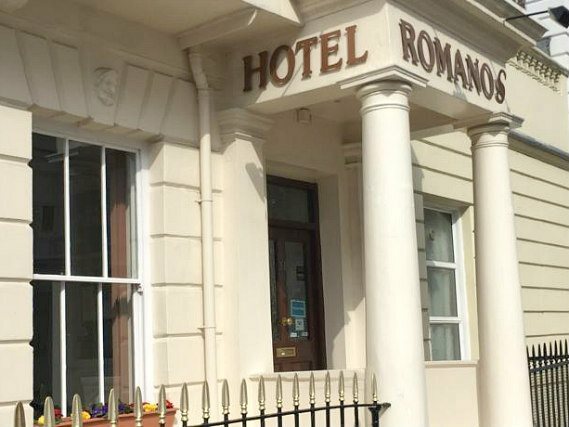 Although Romanos Hotel looks grand on the outside, you will find the inexpensive London hotel accommodation you are looking for inside. 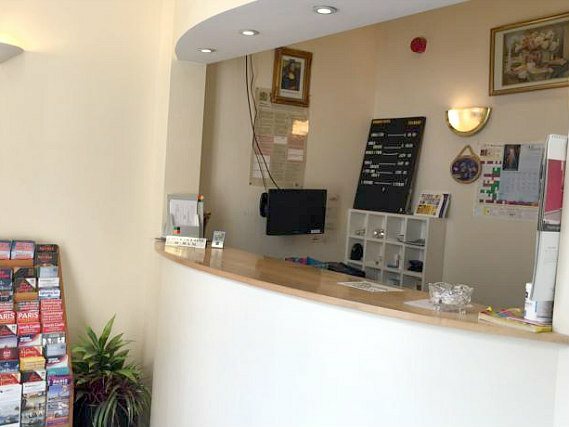 As well as offering basic facilities like a 24-hour reception, tourist information, payphones and a complimentary continental breakfast, Romanos Hotel has an amazing Central London location that you can make the most of. In fact, you’ll be able to walk to place like the Tate Britain, the Houses of Parliament, Westminster Cathedral and Buckingham Palace. 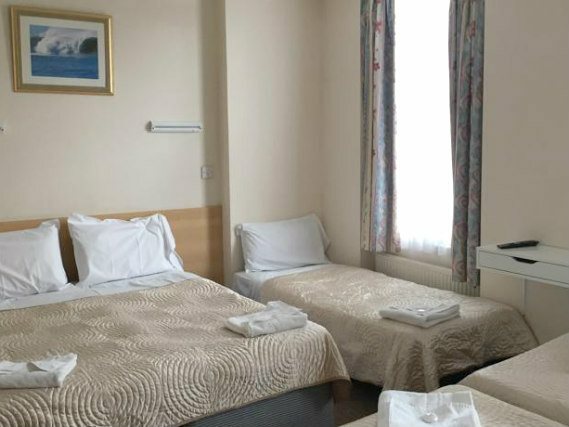 You can stay in a simple single, double, twin, triple, quad or five-person room at Romanos Hotel. 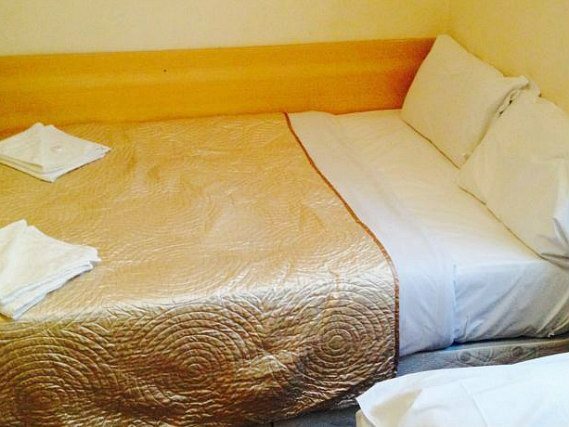 The single rooms have private bathrooms just outside the rooms. 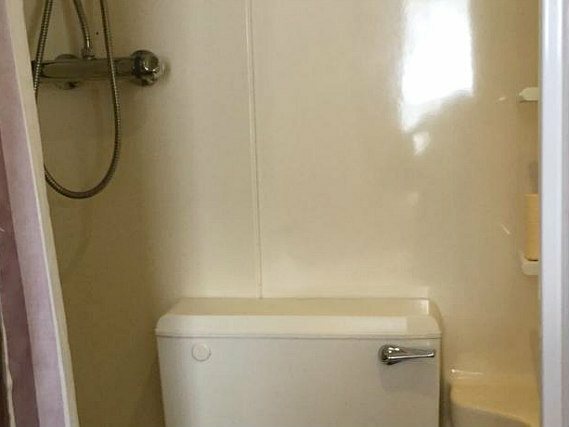 The rest have ensuite shower rooms (apart from the basic twin rooms that share bathrooms). 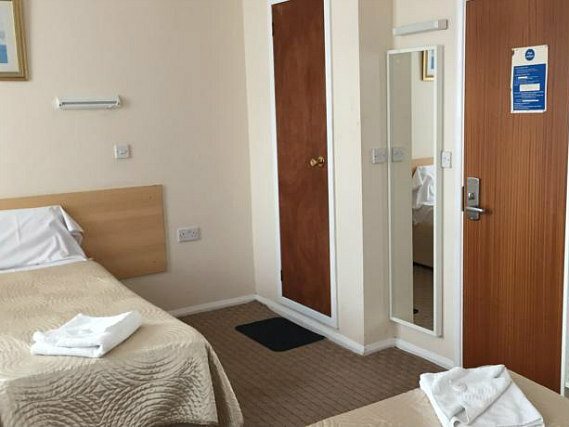 You will find central heating, a desk, tea and coffee making equipment and a colour television in your room (there is no TV in basic twin rooms). Just make sure that you book an early wakeup call so you can explore your breathtaking surroundings. 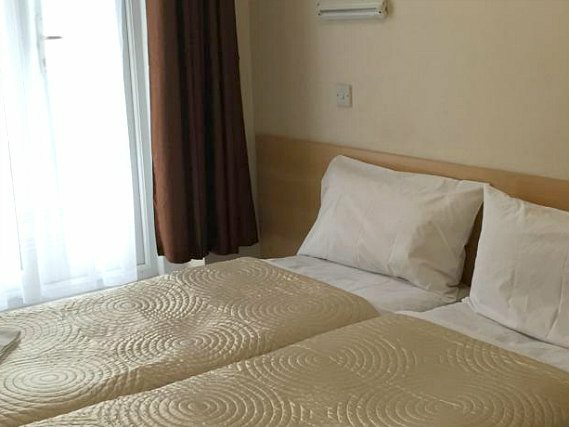 As Romanos Hotel is close to the River Thames, you’ll be within easy reach of loads of London’s top tourist attractions. You can walk along Millbank to get to the Tate Britain, the Houses of Parliament, Big Ben and Westminster Abbey. You could even go on from here and walk to 10 Downing Street and the Churchill Museum. 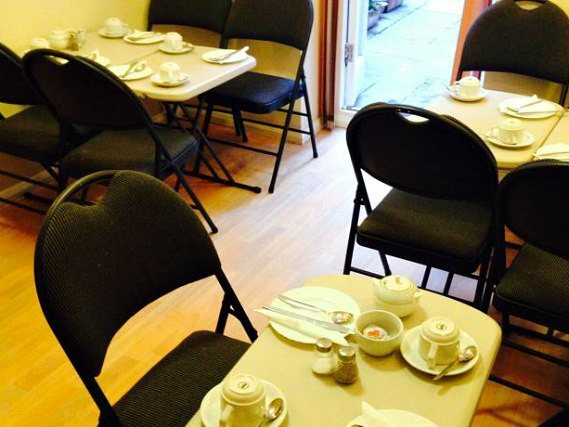 Also within easy reach of Romanos Hotel are Westminster Cathedral and Buckingham Palace. 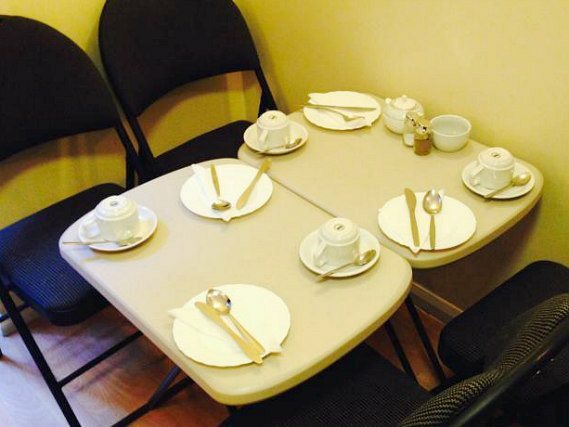 After touring the State Rooms, you could relax in St James’s Park or Green Park. 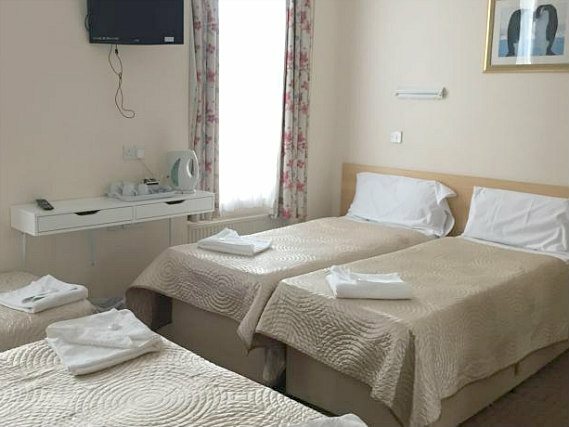 Romanos Hotel has a 24 hour reception where airport transfers (charges apply), wake up calls, hairdryers and ironing equipment are available on request. 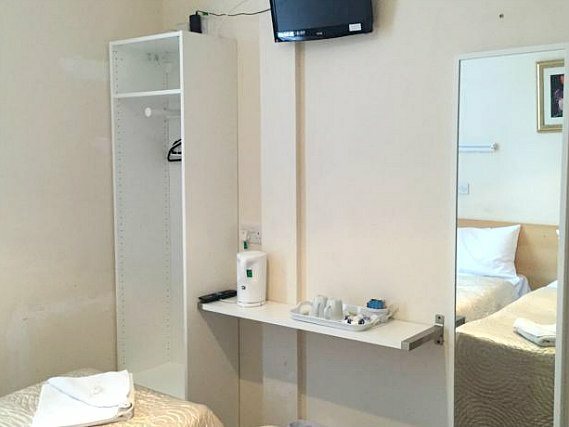 Please note that the basic twin room in the basement at Romanos Hotel is the only room without a television. 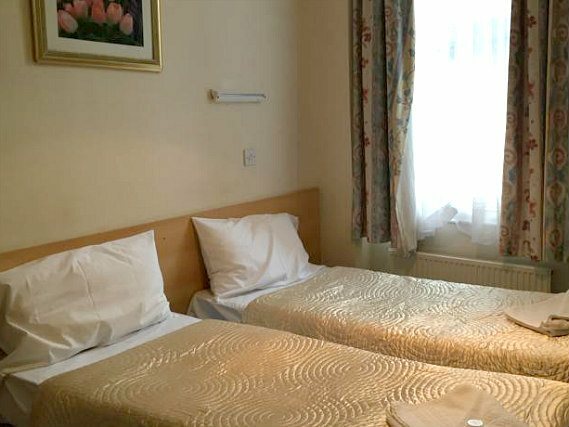 The closest tube station to Romanos Hotel is Pimlico Tube Station. Tubes that run on the Victoria line will stop here. Once you get to Pimlico Tube Station, you should exit onto Bessborough Street and turn to your right. Follow the road round to the right and it will take you straight onto Belgrave Road. Take a left onto Charlwood Street and you will see Romanos Hotel at number 31.